Hi friends, and welcome to the party!! I am so happy you stopped by to join us. Thank you so much for sharing with us this week. There was way too many awesome projects once again to put in the Pick of the Bunch post, so I am posting the crafts and projects today. 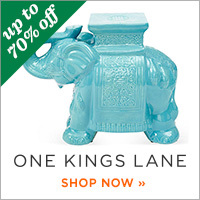 You can check that post out here at Pick of the Bunch Easter Projects, Crafts, and More. You all rock!! 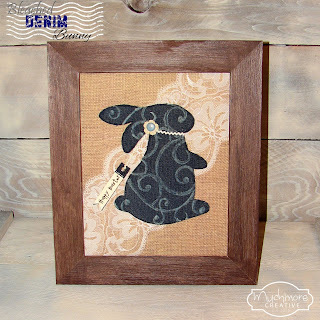 I am in love with this Bleached Denim Bunny by Muchmore Creative. 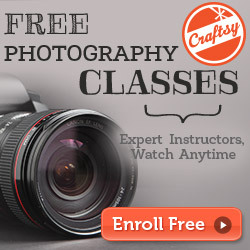 Check out her great tutorial. 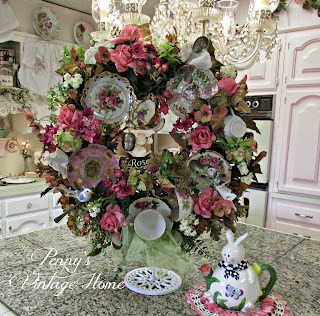 Penny's Vintage Home shared a great tutorial to make this beautiful China tea cup wreath. I love it! 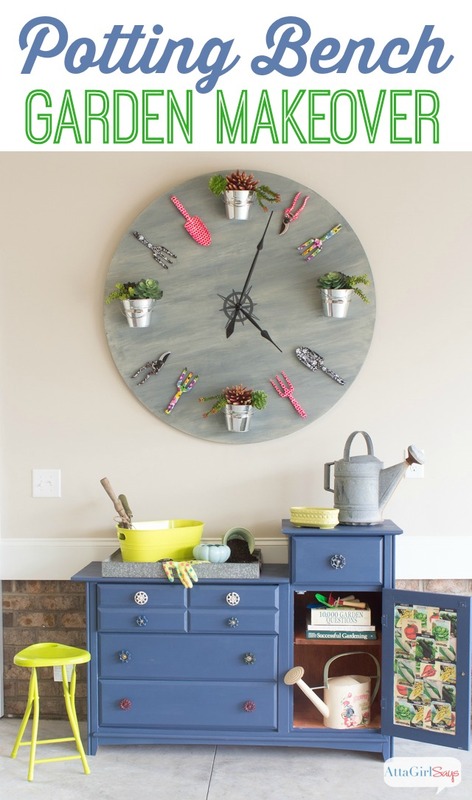 I don't know which I love the most....AttaGirl Says potting bench makeover or her awesome garden clock! 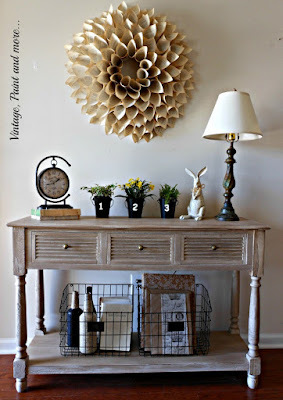 Duct Tape and Denim shared her beautiful vintage chair planter. It turned out great! Vintage Paint and more... shared her beautiful spring entry way. Clean & Sensible shared the cutest Easter Hot Chocolate Bunny Bar ever! You don't want to miss her adorable Easter bunny bunting either. 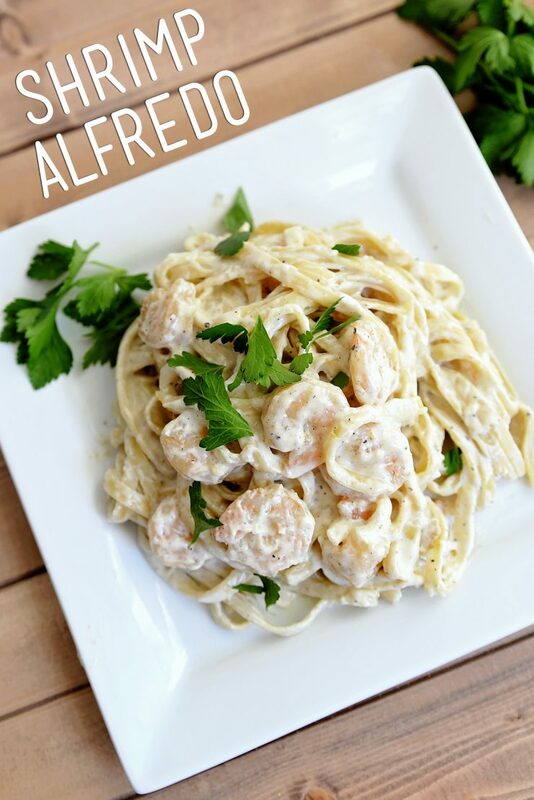 Penney Lane shared her yummy Easy Shrimp Alfredo. These Raspberry Meringue Cookies by A Spark of Creativity look so yummy! 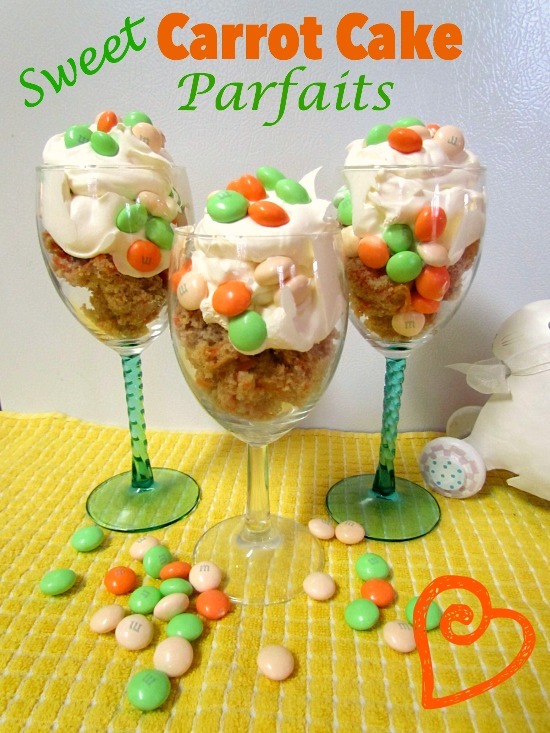 Suzy's Sitcom shared these yummy and pretty Sweet Carrot Cake Parfaits. 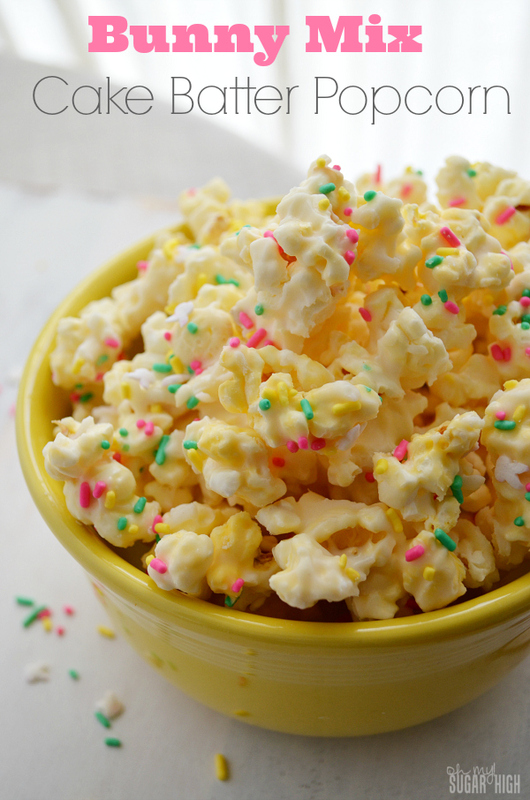 Oh My Sugar High shared Bunny Mix Cake Batter Popcorn. Thanks for the awesome party, Kathy!!! Thanks for the fun party Kathy and hope you have a sweet weekend! 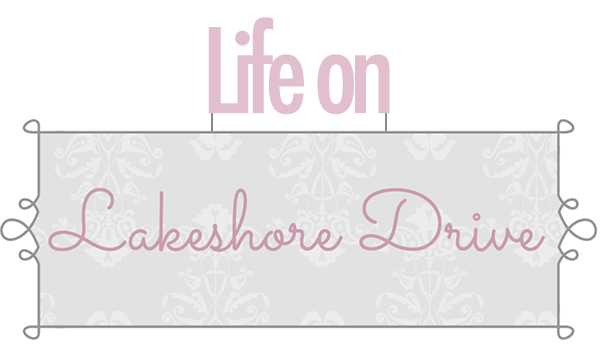 Thanks so much hosting and for the feature! Lot of fun projects this time. Thanks for hosting the great party, Kathy!!! Thank you for hosting, Kathy. Have a great week. 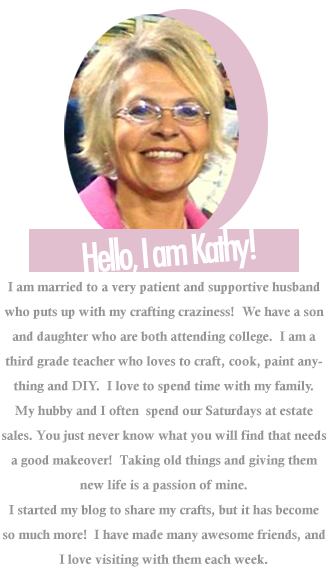 Thank you for the party, Kathy! Have a great weekend! Thanks for hosting. 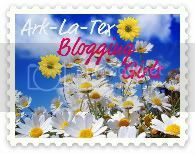 I want to add your button to my blog party page but can't find it or the code anywhere. Can you point me in the right direction?